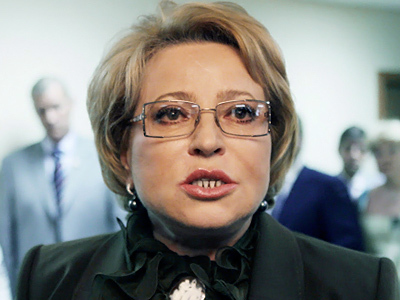 Valentina Matvienko has enlisted the support of Federation Council members before embarking on the road that will lead her to the post of speaker. President Dmitry Medvedev had earlier backed the initiative of several governors who wanted Matvienko to become the chairman of the upper house. Prime Minister Vladimir Putin had also supported her candidacy. But before being elected the speaker, she first has to run for a seat in a municipal council or another legislative body, and, if successful, to get appointed as the city’s representative in the Federation Council. The governor announced her decision on Tuesday to run for a seat in one of municipal councils in St. Petersburg, but she would not take part in the elections if she wasn’t supported by the members of the upper house. “I do not want to produce the impression that I am being imposed on you,” Itar-Tass quoted her as saying at the FC meeting. 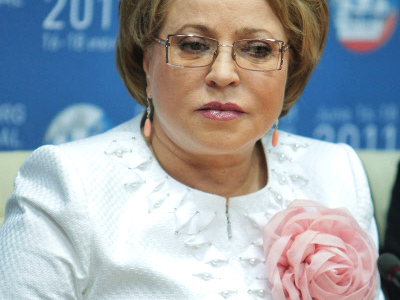 Matvienko added that she would continue as the governor if the MPs do not have faith in her candidacy. At the same time, the governor said she would work to make the Federation Council “a respected and efficient body of state power” if elected to the third highest-ranking position in the federal government. She noted it was impossible for her to start working in the upper house without first consulting with her future colleagues. Matvienko noted she was not going to launch a revolution because she is “a non-revolutionary person,” but stressed the Federation Council needs some modernization. The upper house should “support the interests of the regions more resolutely and use the right of the legislative initiative more actively,” she said. As the governor herself, she knows that even regional heads are sometimes unaware of the bills being debated in the FC. She also called for a certain decentralization of the decision-making process. 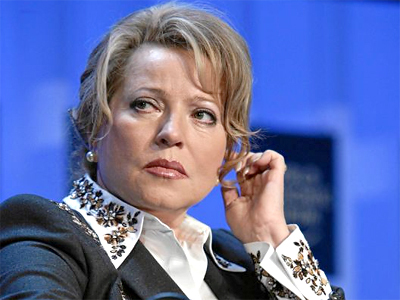 Matvienko recalled the president’s statement that all the minor problems of the regions cannot be solved from Moscow. The regions “have enough powers today” to fulfill their tasks, she noted. 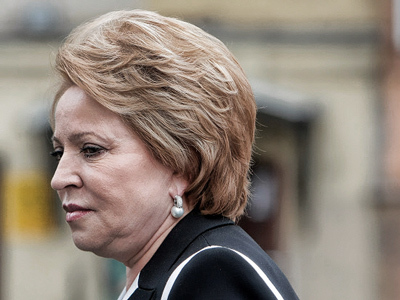 The upper house should exercise a balanced state approach, Matvienko believes. “The political activities are incompatible with the tasks of the upper house,” she stressed. Many opponents of United Russia have expressed concerns that the ruling party will try to make the upper house “a political body.” Its former speaker Sergey Mironov, the head of the opposition Fair Russia party, had given himself credit for keeping the FC as a legislative body that had no political factions. 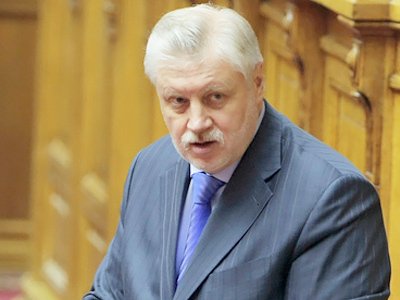 Mironov was recalled as the city representative in the upper house by the St. Petersburg Legislative Assembly and lost the post of speaker in May. The decision was taken on the initiative of United Russia, which had earlier nominated Matvienko for governor. Several opposition groups in St. Petersburg have announced their plans to oppose Matvienko when she runs for a municipal body. But the governor is certain of the voters’ support, although many residents have criticized her in recent times for her work as the city’s head.